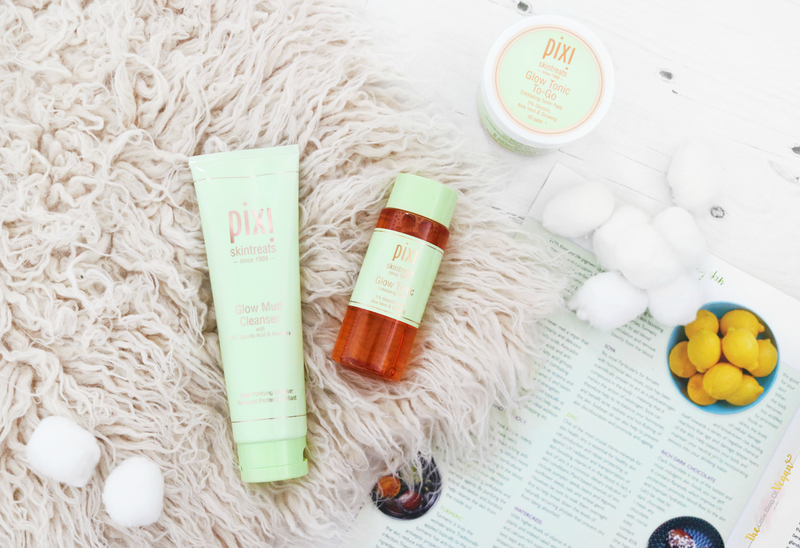 Pixi by Petra has fastly become one of my favourite cruelty-free skincare companies. Pixi is vegan & cruelty-free. They do NOT test on animals. Read my previous Pixi blog posts here. I recently got my hands on some of their 'Glow' range and I wanted to share my review with you guys. All of the glow range are infused with glycolic acid for natural radiance. This has officially transformed my skin. I have naturally clear skin but suffer from the odd breakout, but since using this my skin looks clearer & with more radiance. I didn't know that it's supposed to help draw out any dirt from your pores. My skin definitely feels less clogged and a lot fresher, especially in the morning. It's become my go-to A.M cleanser. I heard of amazing reviews regarding this exfoliating Glow Tonic. It's one of Pixi's best sellers. I have been blown away with how good this tonic is! I've been using it 3 times a week and I can tell a huge difference. My skin not only feels but looks more radiant. I am also very impressed with how gentle it is, especially on my dry, sensitive skin. I LOVE it! I haven't tried this out yet, but the Glow tonic to-go looks perfect for travelling or keeping in my bag. They are travel-friendly pads, soaked in glow tonic which help to tone, hydrate and exfoliate skin. If they are anything like the Glow Tonic, they will become a new favourite of mine!